Where C0 is in the region of the lowest possible audible frequency. 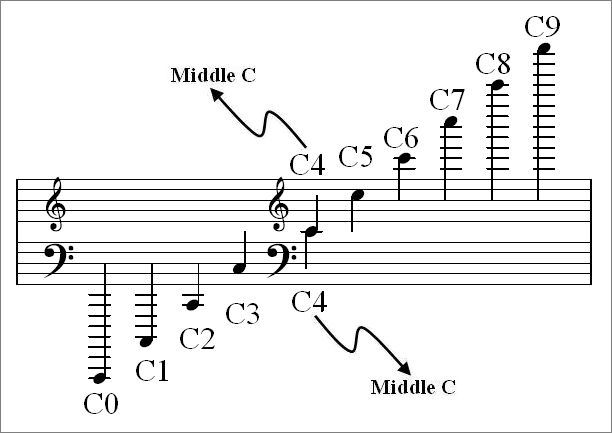 Scientific pitch notation is one of several methods that name the notes of the standard Western chromatic scale by combining a letter name, accidentals, and a number identifying the pitch's octave. 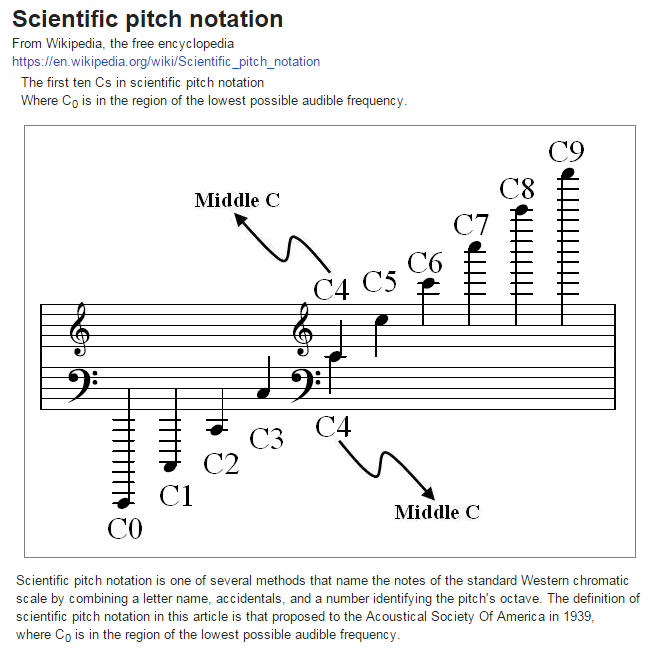 The definition of scientific pitch notation in this article is that proposed to the Acoustical Society Of America in 1939, where C0 is in the region of the lowest possible audible frequency.